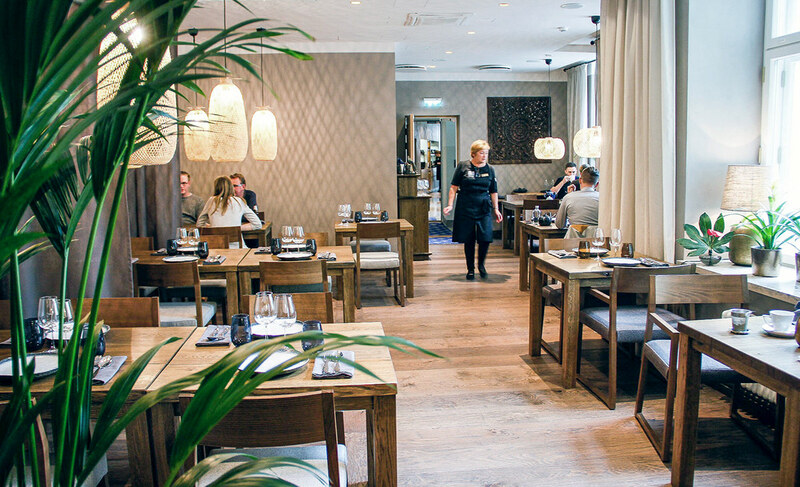 Tallink, the largest passenger and cargo shipping company in the Baltic Sea region – sailing between Estonia, Finland, Sweden and Latvia, operates a number of Hotels and, of course, many restaurants on its luxurious fleet of Cruise Ships. 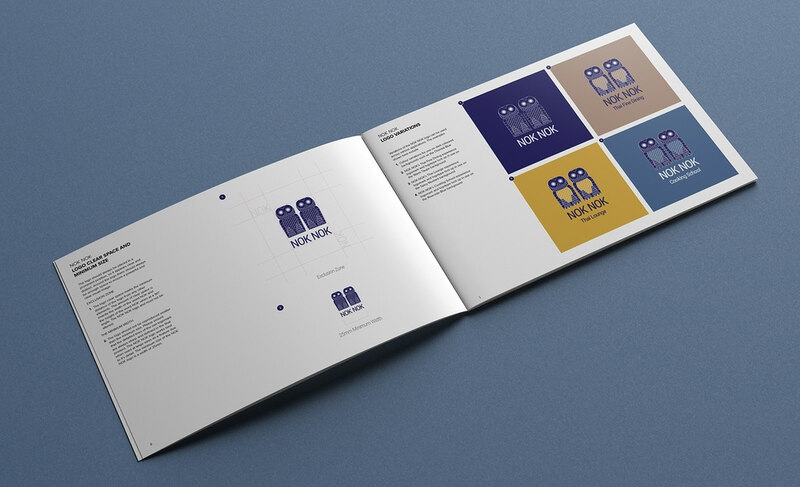 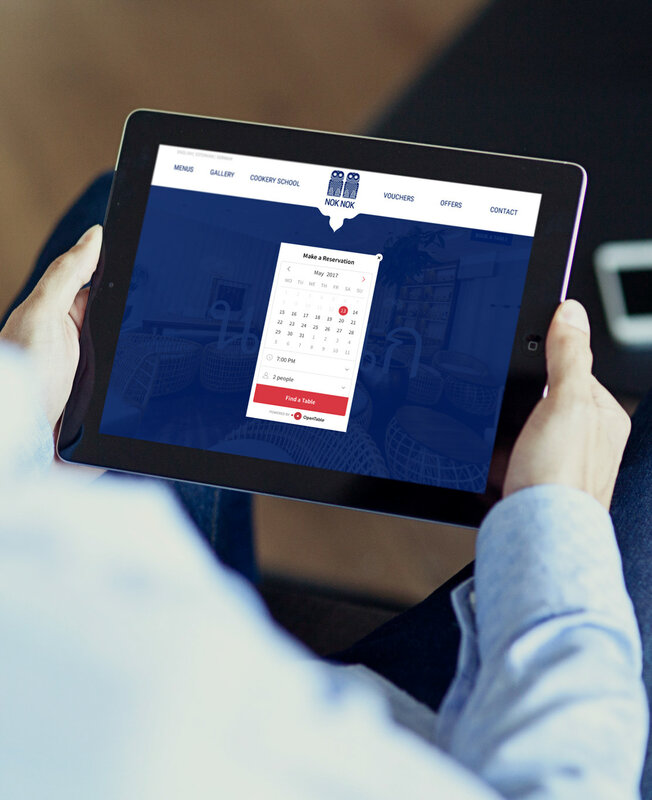 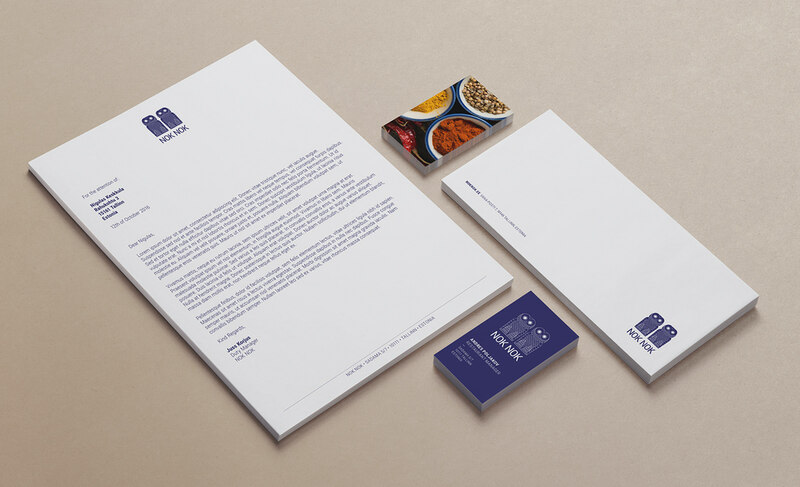 Over the course of our longstanding relationship with they have entrusted us with some of their most exciting and demanding branding and design projects. 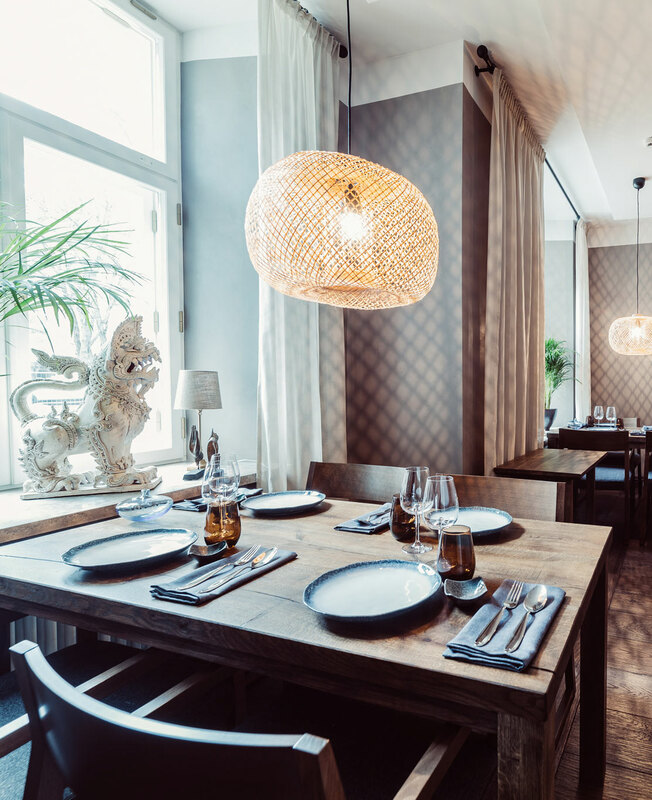 One such project was the naming and branding of a new Thai fine-dining experience and cookery school in the wonderful Old Town of Tallinn, Estonia. 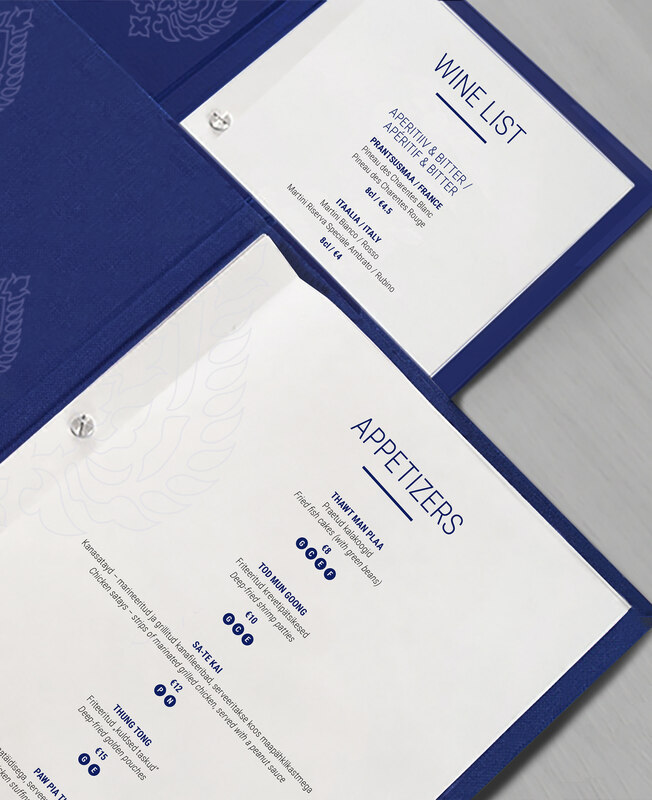 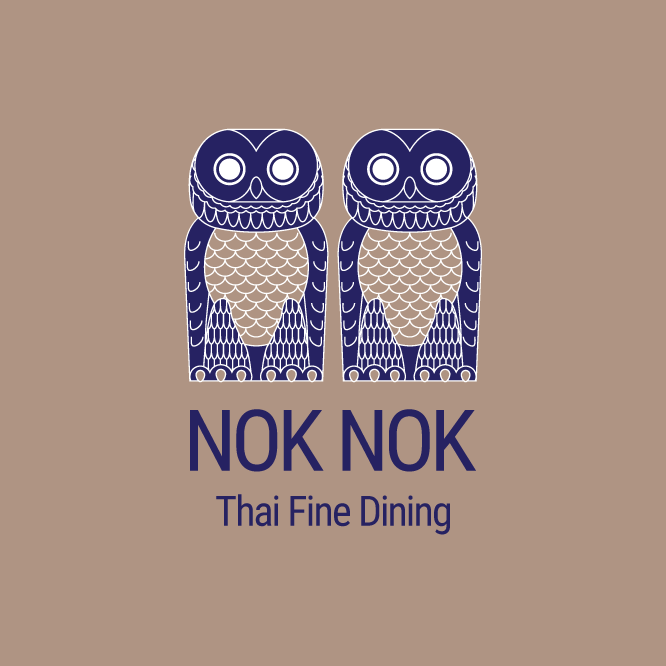 It was vital that the name and design reflected the award-winning chef’s commitment to authentic Thai cuisine, the restaurant owners commitment to exceptional quality and its beautiful location. 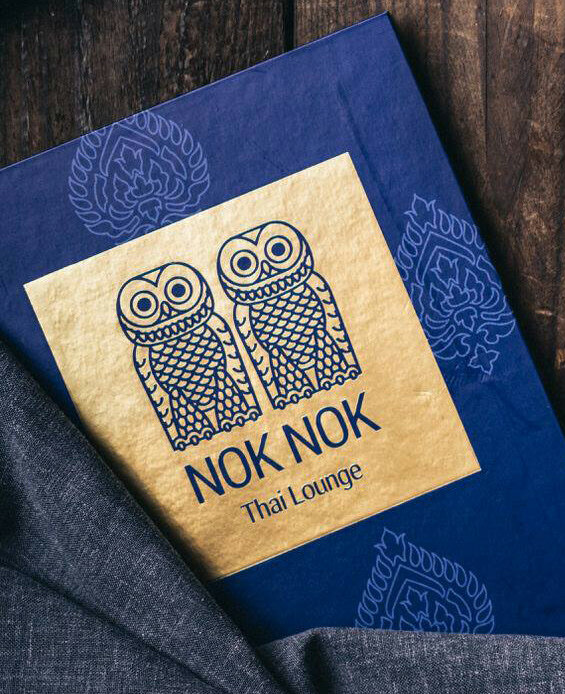 We took inspiration for the name from the distinctive twin-owl sculptures which adorn both sides of the restaurant’s archway façade. 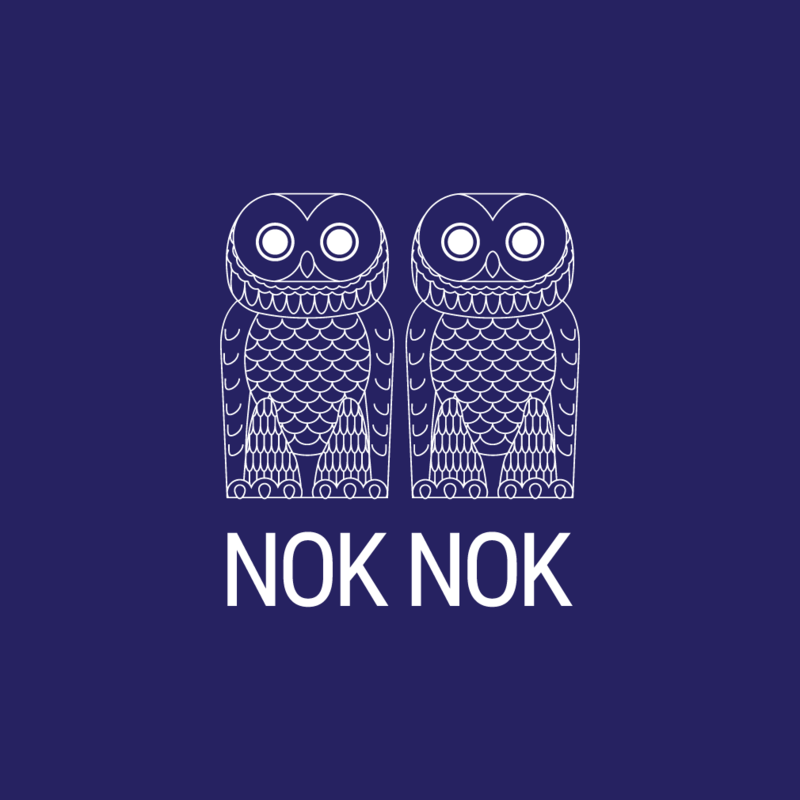 “Nok”, in Thai, means bird. 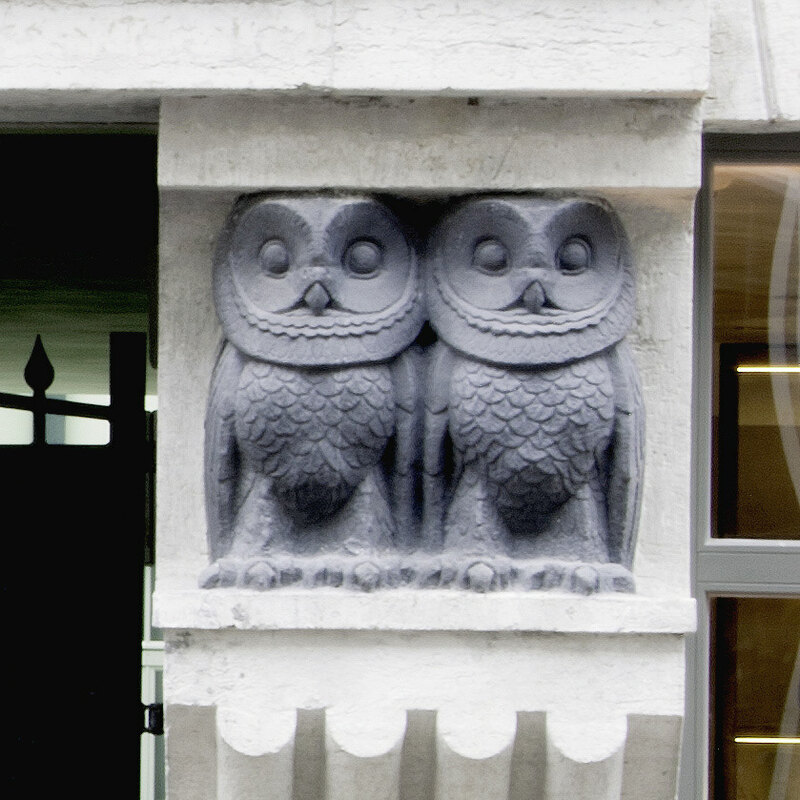 The significance of the owls to the original owners is unclear, but it felt appropriate to honour this charming element of the building’s history by incorporating it into its new identity. 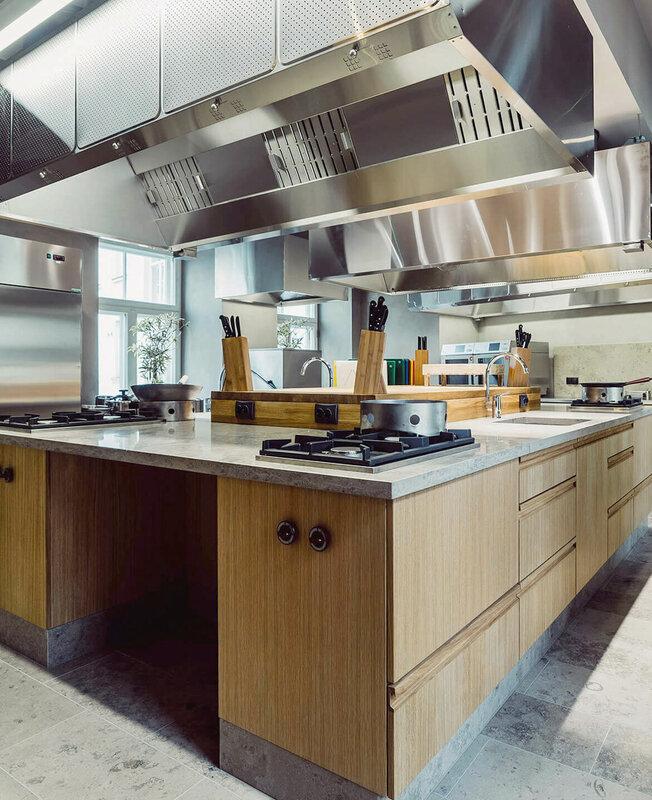 The building pre-dates the second World War but the new owners carried out a full restoration and upgrading of the entire property to create exceptional interiors for the lounge, restaurant, cookery school, seminar and meeting rooms. 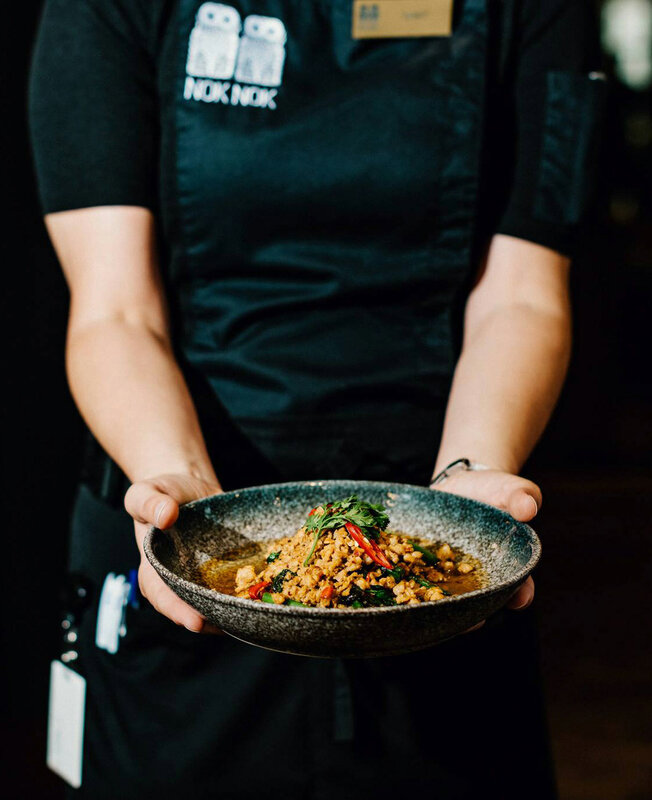 We developed a colour palette of rich golds, deep indigo blues, warm mustard yellow and natural taupes of sand and stone – warm and inviting Thai tones. 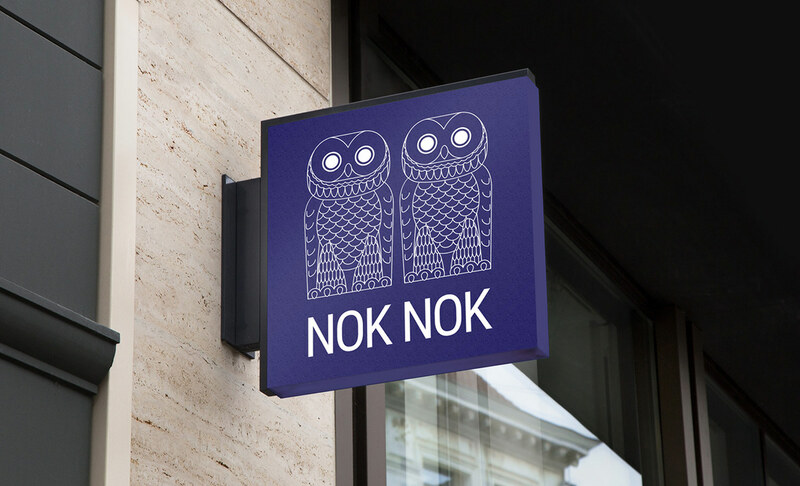 These colours, along with the illustrated owls, form the foundation of the main Nok Nok brand, sub-brands and associated collateral (menus, uniforms, website etc). 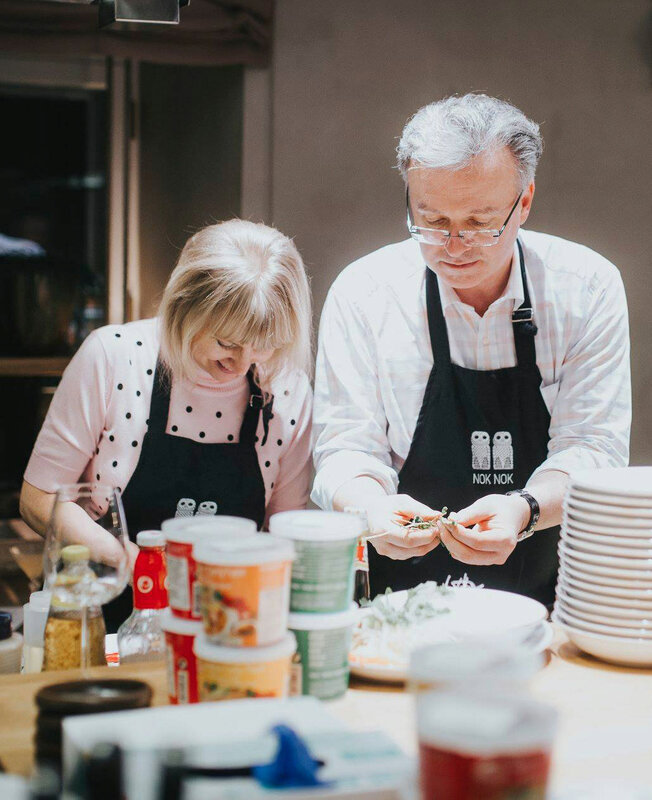 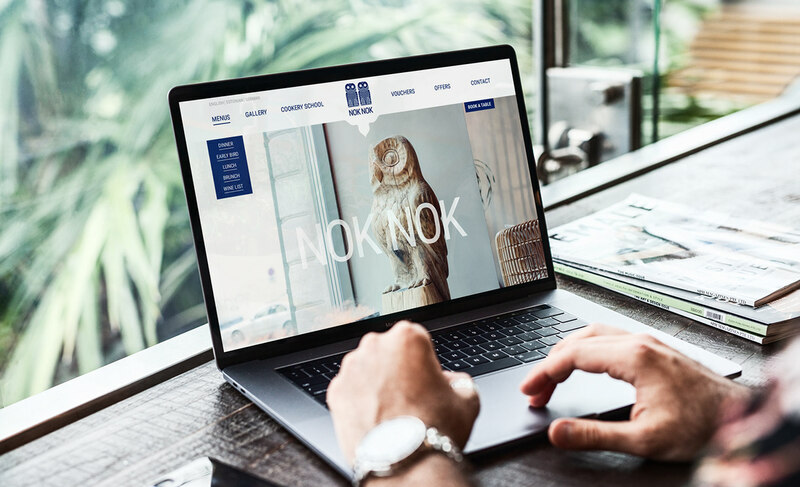 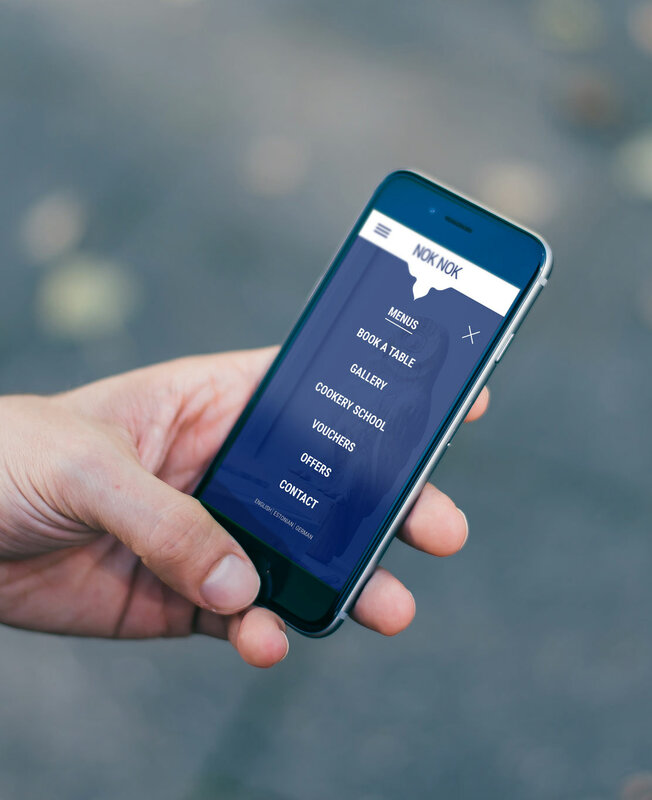 The project was a considerable success and Nok Nok quickly became a firm favourite amongst the cosmopolitan foodies of Tallinn and the tourists from the Nordic region, Russia and beyond. 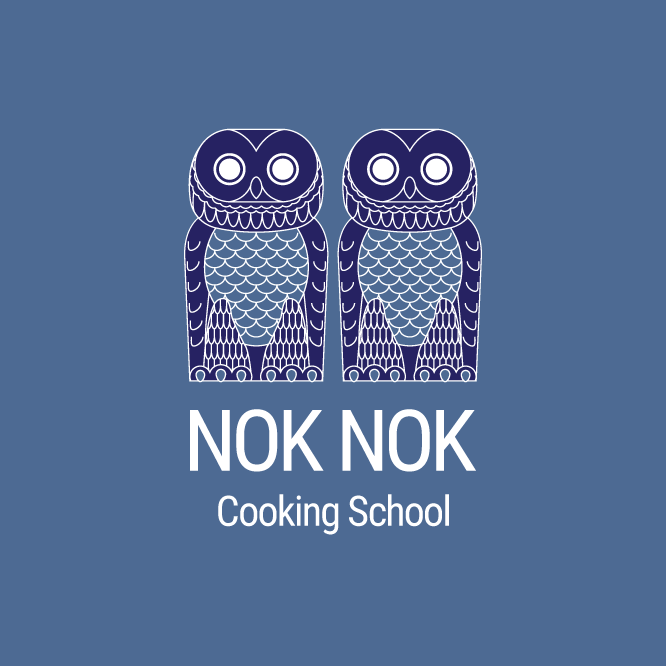 Naming and Branding of a new Thai fine-dining experience and cookery school in the wonderful Old Town of Tallinn, Estonia. 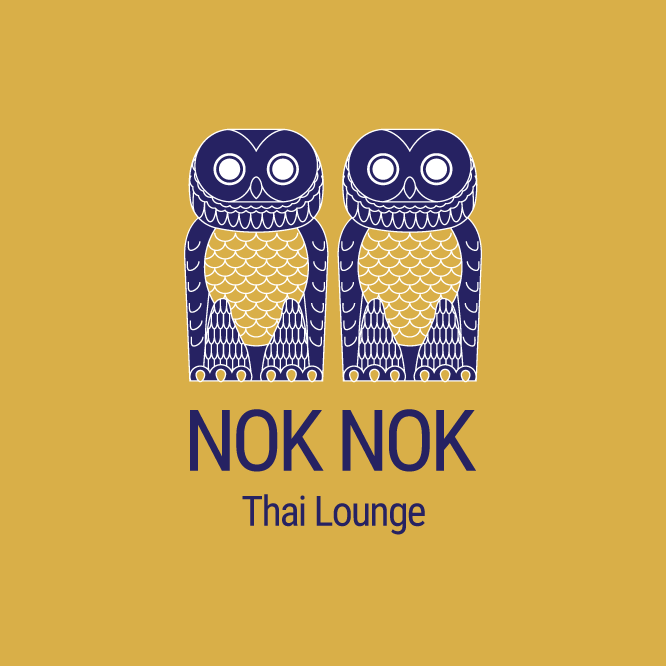 It was vital that the name and design reflected the award-winning chef’s commitment to authentic Thai cuisine, the restaurant owners commitment to exceptional quality and its beautiful location.